That’s why we’ve created this useful resource of top wealth managers and financial planners in Miami and Coral Gables to help you identify the best firm for your unique financial needs and goals. When it comes to evaluating local financial advisors in Miami or Coral Gables, there are typically two types of firms to consider: fee-only and fee-based advisors. How do you know which type of Miami financial advisor is right for you? Below, we’ll provide you with a brief overview of everything you need to know about the differences between fee-only and fee-based financial advisors. When an investment firm or a financial advisor says that they are “fee-only,” this means that they do not accept commissions or third-party referral payments. In short, a fee-only financial planner in Miami or Coral Gables is in a better position to act solely in the interest of their clients. As a fiduciary, a Coral Gables or Miami financial planner is legally responsible to fully disclose any conflicts of interest and are required to put the interests of their clients ahead of their own. 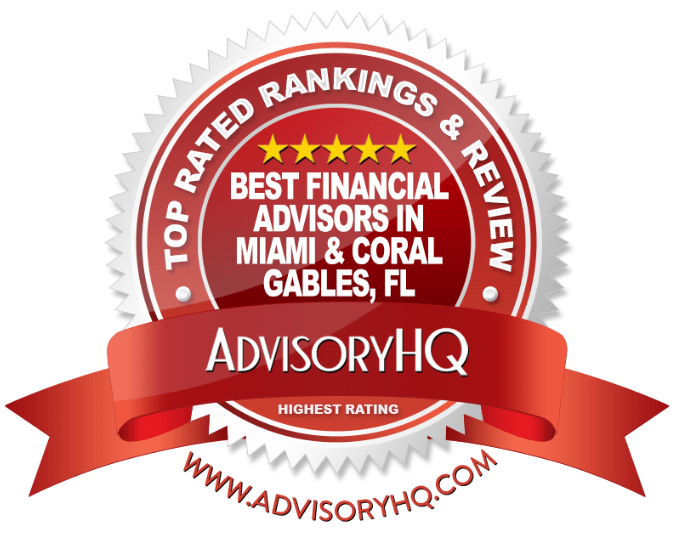 Below, please find the detailed review of each firm on our list of the best financial advisors in Miami. We have highlighted some of the factors that allowed these Coral Gables and Miami wealth management firms to score so high in our selection ranking. Founded in 2007, BigSur Partners is a fee-based, independent boutique financial advisor in Miami. As a top-rated wealth management firm in Miami, BigSur caters exclusively to the needs of high-net-worth and ultra-high-net worth individuals and families. 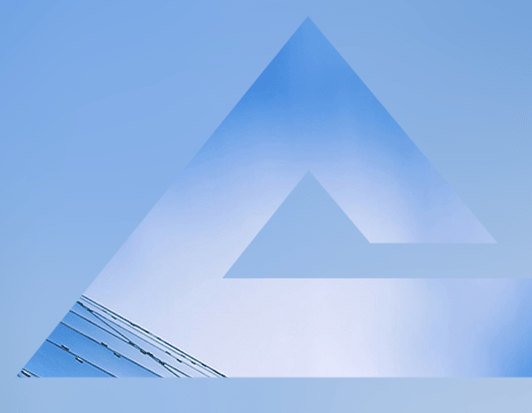 Investment Advisory—Based on a philosophy in finding intrinsic value across global markets and asset classes, clients receive a holistic, total balance sheet of all their assets. Private Investment Platform—Access to exclusive investments within real estate, private equity, private debt, and venture capital asset classes. Other Services—The Miami financial advisors at BigSur can coordinate with a range of other financial professionals, assist with the management and reporting of collectibles, as well as handle personal requests. Due to the selective nature of its services, this Miami wealth management firm deliberately restricts the type and nature of clients that it serves. As a sought-after financial advisor in Miami for a niche clientele, the firm’s strategic and selective process has allowed its advisors to deliver client-centric service, resulting in a more focused, individualized client experience. As a top wealth management firm in Miami, BigSur Partners provides ultra-and high-net-worth clients with a unique set of services, focused advisement, and deep, long-term relationships. The firm is also a sought-after source of industry knowledge, featured in leading publications like The Wall Street Journal and The New York Times, solidifying BigSur’s expertise as a top Miami wealth management firm to consider partnering with this year. Founded in 2008 by Cathy Pareto, Cathy Pareto & Associates Inc. is a fee-only independent investment manager and financial advisor based in Coral Gables, just minutes outside of Miami. The firm supports clients from across a broad segment of society, including retirees and soon-to-be retirees, women, small business owners, dentists, and physicians. With financial planning services, this wealth management firm in Miami can help you turn your dreams into goals by coming up with a step-by-step process of how to structure your spending, savings, and investing. The Miami financial advisors at Cathy Pareto will take you through a meticulous process that helps you answer questions related to saving for retirement, retiring early, your risk tolerance, your current investments, and more. The team of advisors at this Miami wealth management firm can also help you figure out how to manage conflicting goals, like saving for your child’s education vs. your dreams to retire early. Part of what makes Cathy Pareto & Associates such a dynamic Miami financial planner is the firm’s commitment to providing financial services catered specifically to women. As a top financial advisor in Miami, Cathy Pareto & Associates works with a wide range of women to create actionable financial plans, improving financial health over the long-term. For clients in Miami and Coral Gables who are looking for a personalized, comprehensive, and in-depth financial plan to bring them through multiple life stages, Cathy Pareto & Associates is a great fit. Additionally, their focus on providing financial services for women demonstrates the firm’s ability to adapt comprehensive financial strategies to fit unique client needs, solidifying Cathy Pareto & Associates as one of the top Coral Gables and Miami wealth management firms. Established in 1980 as a family office and registered as an RIA since 1997, Dimension Capital Management is a privately-owned boutique wealth management firm in Miami. As fee-only financial advisor in Miami, Dimension Capital Management caters to the unique needs of high-net-worth institutional investors, families, and individuals across the US and abroad. As a fee-only wealth manager in Miami, the firm only receives compensation from the clients it advises, meaning that clients are not charged brokerage fees or commissions. With this pricing structure, clients can trust that they will receive advice that is truly unbiased and personalized, as the firm’s interests are always aligned with those of their clients. 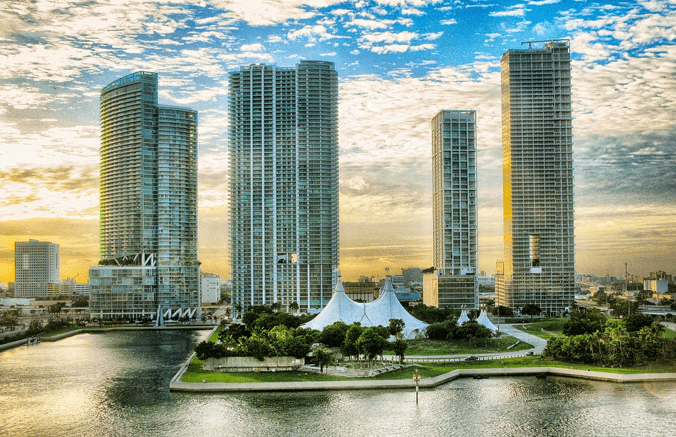 As a dynamic wealth manager and financial advisor in Miami, Dimension Capital Management has the experience to offer highly objective and customized solutions to its clients. As a top Miami wealth management firm, Dimension Capital Management provides clients with the benefits of a globally diverse investment perspective and a transparent pricing structure, ultimately setting clients up for long-term success. However, when it comes to providing detailed information about their services, Dimension Capital Management falls somewhat short in comparison to competing Miami wealth management firms. By elaborating on key components like comprehensive advisory capabilities and how investable themes are identified, Dimension Capital Management could easily improve both their value proposition to new clients and the rating as a top wealth management firm in Miami. Located in Coral Gables, Evensky & Katz/Foldes Financial is a fee-only Miami wealth management firm that has been providing financial advice and wealth management services for over thirty years. As a highly innovative and dynamic wealth manager and financial advisor in Miami, the Evensky & Katz/Foldes team continually evolves to deliver increasingly sophisticated investment and financial planning advice, products, and services to its clients. This Miami wealth management firm aims to help clients grow their money, building a foundation to achieve their financial goals. No matter what your goals may be, investing is easier when you have a clear idea of what you are working towards. As a result, these advisors provide financial planning-based investment management, also known as wealth management services. These financial advisors in Miami begin with an in-depth conversation, developing an investment policy statement to reflect each individual investor’s needs. This statement serves as the document of reference when it comes to figuring out what you are working towards, acting as a financial roadmap. During the process, these Miami financial advisors also take important variables into consideration, like various investment options, taxation, costs, risks, and more. 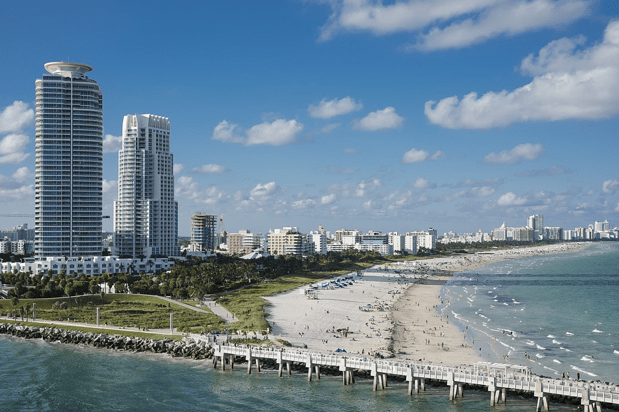 Along with individual investment advice, this wealth management firm in Miami provides financial advisory services for institutional retirement plans, specializing in 401(k) plans, SEP plans, and profit sharing trusts. Their institutional approach is similar to an individual approach in the sense that they help firms identify specific investments and present different investment models for qualified retirement plan participants to select. Additionally, the firm also provides written acknowledgement of their role as an ERISA fiduciary, instilling trust between advisors and their institutional clients. With a dedicated focus to providing expert wealth management services and institutional financial planning, Evensky & Katz/Foldes Financial is a competitive choice among Florida wealth management firms. Their team is also extremely qualified, with many advisors boasting multiple industry certifications, like CFP®, CFA, AIF®, and more. With a detailed brochure to describe the full range of services and a fee-only pricing structure, Evensky & Katz/Foldes Financial is one of the best financial advisors in Miami to consider partnering with this year. Located just minutes outside of the city in Coral Gables, Firestone Capital Management is a fee-only financial advisor in Miami, FL. 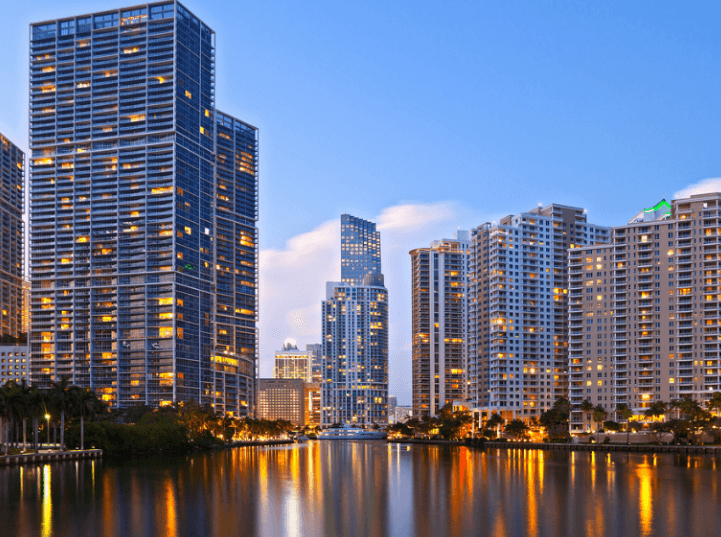 The Miami financial advisors at Firestone Capital Management specialize in providing investment advisory, personal financial planning, and wealth management services to a wide range of clients, including individuals, families, and corporations. While the team of Miami financial advisors at Firestone Capital Management may be smaller than that of larger firms, the team brings a solid base of experience and industry knowledge to each financial planning endeavor. These designations come with strict requirements for fiduciary duties and ongoing education, demonstrating Firestone Capital Management’s commitment to excellence within the financial industry. For Firestone Capital Management, the client experience is first and foremost. This means engaging a collaborative, team-based approach to each financial plan and building positive, long-term relationships with each and every client. Rather than provide clients with one single point of contact, Firestone strives to include the experience, qualifications, and creative vision of every team member. With this approach, clients can contact anyone at the firm at any time and expect to have unlimited, informed access about their personal financial goals and progress. With a highly experienced team and a client-centric approach as a foundation Firestone Capital Management is poised to offer strong value to those looking for expert wealth management. However, compared to competing Miami financial advisors, the firm does have room for improvement on how their services are communicated to clients. Without a full description of how each financial service is carried out, potential clients may find it challenging to evaluate Firestone Capital Management’s capabilities. By providing additional details on what clients can expect throughout each service, Firestone Capital Management could easily improve both their value proposition to new clients and their rating as one of the best financial advisors in Miami, FL. Founded in 2011, GenTrust, LLC is a fee-based Miami financial advisor with an additional office in New York City. As a top-ranked investment management and wealth advisory firm, the firm advises individuals, institutions, and even other Registered Investment Advisors, managing approximately $1.5 billion for their clients. We have chosen GenTrust as a top Miami wealth management firm for their independence, expert team, and wide range of financial services. As an independent Registered Investment Adviser (RIA), GenTrust is held accountable to a much higher fiduciary standard than non-RIAs. The fiduciary standard means that all advice and recommendations made by GenTrust’s Miami financial advisors must be in a client’s best interest, with no conflicts of interest among the advisors, the advisory firm, and the clients they serve. This is a crucial component for any Miami financial advisor, but particularly for those that use a fee-based model, as the fiduciary standard effectively eliminates the inherent conflicts of interest that are often associated with fee-based firms. GenTrust provides specialty and financial planning services that are catered to fit the unique—and often complicated—needs of clients within the sports and entertainment industries. As a top financial advisor in Miami, FL, GenTrust provides clients with a vast range of experience and depth of knowledge to draw from, making their portfolio management services an attractive option. With unique specialties in assisting sports and entertainment professionals and other independent RIAs, GenTrust is one of the top Miami wealth management firms to consider partnering with this year. With over 20 years in the business, Investor Solutions, Inc. is an independent, fee-only financial advisor in Miami that provides a range of investment advisory services to a broad range of clients, including individuals, families, and trusts. As a Registered Investment Advisor, Investor Solutions, Inc. strictly adheres to its core principles of professionalism, integrity, and service to deliver on its mission of helping clients reach their investment objectives. Many of these credentials come with strict requirements for following the fiduciary standard and ongoing education, demonstrating the firm’s commitment to excellence. Additionally, the team brings decades of frontline experience to the table at each client interaction, ensuring that these financial planners in Miami can expertly handle a variety of financial challenges. As a top Miami wealth management firm, Investor Solutions provides clients with an in-depth, comprehensive approach to portfolio design. Compared to competing financial advisors in Miami, FL, Investor Solutions boasts one of the largest—and most accredited—teams, instilling trust that the firm is prepared to expertly tackle a wide variety of financial challenges. With an experienced team and an in-depth focus on investment management, Investor Solutions is one of the best Miami wealth management firms to consider partnering with this year. With a unique focus on providing both domestic and international financial expertise, MAXIMAI Investment Partners is an independent, boutique investment advisory firm located in Miami, Florida. MAXIMAI is an independent, fee-only financial advisor in Miami that provides all services from a “Family First” foundation, specializing in high- and ultra-high-net-worth clients and their extended families. As a wealth manager in Miami, the firm only receives compensation from the clients it advises, meaning that clients are not charged brokerage fees or commissions. With a fee-only structure, clients can trust that they will receive advice that is truly unbiased and personalized, as the firm’s interests are always aligned with those of their clients. Additionally, as a Registered Investment Adviser, MAXIMAI is held to the fiduciary standard of care, creating an ethical and legal obligation to always act in the best interests of their clients. With the combination of a fee-only structure and a fiduciary commitment, MAXIMAI embodies the ideal relationship with a Miami financial advisor, as client-advisor relationships are held to the highest standards of transparency and trust. Additionally, as a truly multicultural firm, clients with global interests and investments can trust that MAXIMAI will provide a unique focus on evolving markets and regulations on a grander scale, including domestic and international estate and trust planning. While MAXIMAI Investment Partners have only been in business since 2016, the team of Miami financial advisors and wealth managers behind the firm bring decades of experience, a uniquely global perspective, and a client-centric value proposition—all elements of the best financial advisors in Miami. However, compared to competing firms, MAXIMAI does have room for improvement on how their services are communicated to clients. Without a full description of their investment services, potential clients may find it challenging to evaluate MAXIMAI’s capabilities. By providing additional details on exactly what services clients can expect, MAXIMAI Investment Partners could easily improve both their value proposition to new clients and their rating as one of the best financial advisors in Miami, FL. Founded in 1993, Pinnacle Advisory Group, Inc. is a fee-based, privately owned Miami wealth management firm with additional offices in Naples, FL and Columbia, MD. Although we prefer to rank fee-only firms, we have chosen Pinnacle as one of the best financial advisors in Miami for their refusal to sell insurance, mutual funds, or other commission-based products, ensuring the clients benefit from truly unbiased and independent advisement. To be truly effective, financial planning should encompass a wide range of services and goals, both short-term and long-term. Preparing to have sufficient income that will last throughout retirement is a key facet of any successful retirement planning endeavor. The Miami financial advisors at Pinnacle take this aspect one step further through Onpoint by Pinnacle, an initiative which focuses on distribution planning. As one of the best financial advisors in Miami, Pinnacle Advisory Group offers clients with the benefits of transparent pricing, a wide range of services, and strong industry expertise. The firm also works with a wide range of clients, including individuals, families, executives, business owners, and entrepreneurs, making Pinnacle a great Miami financial advisor for many consumers to consider partnering with this year. Located minutes outside of Miami in Coral Gables, Singer Xenos is a fee-only Florida financial advisory firm that uses its extensive resources, highly experience professionals, and a data driven, research-based approach to provide the best advice for its clients. As a highly regarded Miami wealth management firm, Singer Xenos is consistently recognized as a Top Financial Advisor by Financial Times and was recognized as a Top 25 Women-Owned RIAs by WealthManagement.com. Singer Xenos practices a deep commitment to providing careful and expert services for their clients, providing a valuable long-term foundation for financial planning and wealth management. This commitment can be seen in their fee-only pricing structure. As a fee-only Miami financial advisor, clients of Singer Xenos have the advantage of knowing that all advice is given without bias, hidden costs, or incentives for personal gain. Additionally, all advisors are Certified Financial Planners, allowing their expertise to expand into multiple industry sectors like tax planning, estate planning, business succession, charitable giving, and more. This Miami wealth management firm addresses the financial needs of women, helping their clients plan for unique circumstances and scenarios, like early widowhood and longer lifespan. The Miami financial advisors at Singer Xenos can provide guidance before, during, or after a major life change. Working with a professional can give you a firm financial foundation when your emotional life is in turmoil. Singer Xenos also offers a learning and networking opportunity called SX Women’s Group. It’s a personalized client experience that makes Singer Xenos stand out from other financial advisors in Miami, FL. With a focus on both multi-generational trends, SingerXenos is one of the most innovative Coral Gables and Miami financial advisors on our list. Not only does Singer Xenos offer specialized financial services for women, but they also specialize in Next Gen Wealth, serving the Millennial generation with expert guidance as baby boomers age out of the workplace. The firm’s commitment to providing fee-only services, coupled with a strong client-centric approach makes Singer Xenos one of the best financial advisors in Miami and Coral Gables, earning the firm a 5-star rating overall. WE Family Offices LLC was founded in 2000 as TBK Investments. They are a fee-only, independent Miami wealth management firm in that offers a broad array of family office services to ultra-high-net-worth (UHNW) families. At the heart of serving their clients is the belief that no two families are alike. Therefore, client families are served through a personalized blend of services to help them build their unique wealth enterprise. For many UHNW families, one of the greatest fears is the result of a mis-managed—and dwindling—fortune over time. To sustain wealth over multiple generations, WE Family Offices seeks to help clients create their own wealth enterprise. In essence, this means approaching the management of family wealth as a business, beginning with financial statements, a mission statement, and clear financial roles and responsibilities within the family. 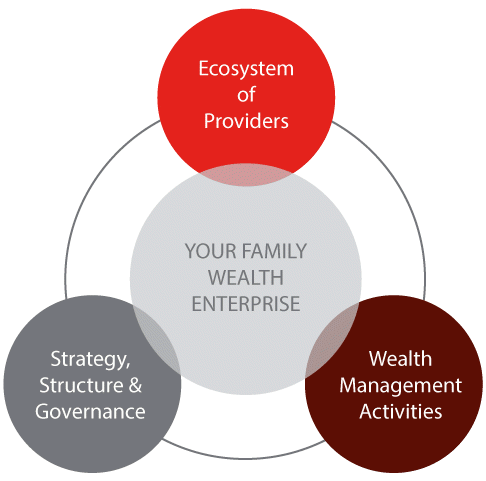 To support UHNW families in becoming a successful wealth enterprise, WE Family Offices provides three core areas of service, detailed below. Families that fit into the ultra-high-net-worth category are apt to have unique—and, in many cases, complicated—financial needs when it comes to holistic wealth management. No matter what service an UHNW family may need, WE Family Offices maintains a personal, in-depth, and customized approach to Miami wealth management. While WE Family Offices may have a boutique focus, their depth of experience and range of services are anything but small. With over 40 team members with industry-leading accreditations and decades of experience in taxes, investing, multi-jurisdictional planning and wealth structuring, family governance and education, these Miami financial advisors are more than prepared to handle any financial challenge, no matter how complex. With a solid foundation of experience, expert services, and a fee-only structure, WE Family Offices is one of the wealth management firms in Miami for ultra-high-net-worth families to consider partnering with this year. Now that you are better informed about these leading Miami financial advisors, it’s time for you to act. No matter where you are at in the wealth management process, reviewing this list of the top Miami wealth management firms should help you gain a clearer understanding of what you do and do not want in a financial advisor. You can then book your consultations equipped with the information you need to ask the right questions to choose the best financial advisor in Miami, FL for you.